With Appliance Spares Warehouse, replacing your vacuum cleaner motor doesn't have to be a laborious process, because we stock parts from all the biggest brands. 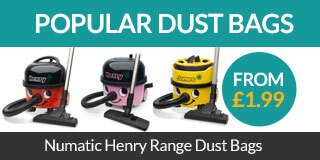 Our extensive range includes parts for Dyson, Henry, Hoover and more. Looking for the lowest prices? Don't forget to check out our Qualtex products; these are pattern alternatives that offer the perfect fit at a great low price. With free delivery throughout the UK, we're the customers' choice for appliance parts and accessories. Genuine replacement part to fit select models of Dyson DC40 Erp vacuum cleaners .. This is a genuine spare part that is compatible with select models of Dyson DC47 vacuum cleaners ..